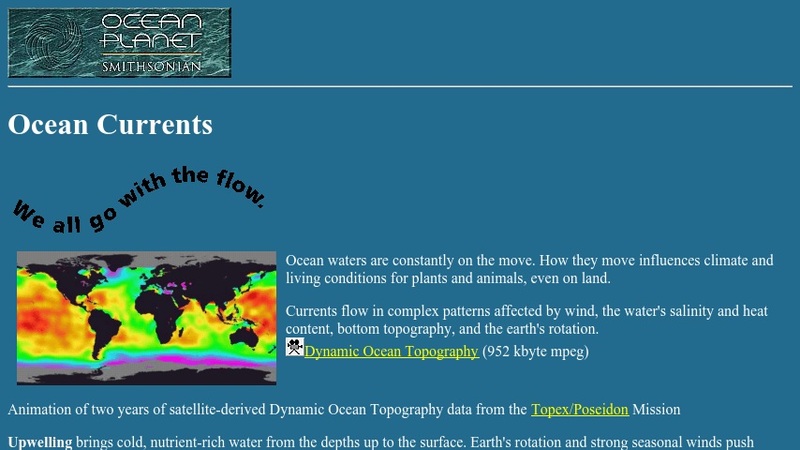 This document provides a brief description of the major currents and general circulation patterns of the world's oceans. Links to animations showing satellite imagery of ocean-surface topography and temperature are included. Links to references are embedded in the text.